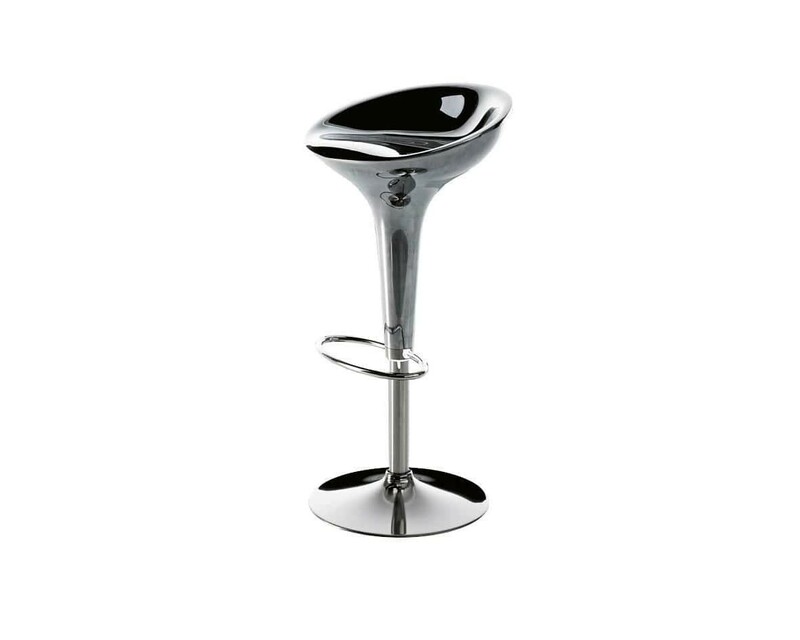 Swivel bar stool. Adjustable in height with gas piston. Base and frame in stainless steel. Seat in polished die-cast aluminium. Since Bombo entered the contemporary furniture arena in 1996, this adjustable stool has remained one of the most significant Italian-made designs, and one of the most widely-copied around the world. But make no mistake, there is only one Bombo, as is clear from the wording of the logo “Bombo The Original”, defending the quality of the design, the materials and the production. Only Magis could come up with such an inimitable product, and only Magis could improve on it. The new version of Bombo, in a single titanium hue for both seat and base, with an elegantly glamorous finish, is fitted with a gas piston to reach heights of up to 80 cm, making it even more practical and well suited to the needs of the contract world, as well as domestic use. The base has also been fine-tuned to ensure perfect stability on any surface: Magis thinks of everything. Year: 2002. Stefano Giovannoni was born in La Spezia in 1954, and graduated from the Faculty of Architecture at Florence University in 1978. He lives and works in Milan. From 1979 to 1991 he worked at the Faculty of Architecture in Florence, lecturing and carrying out research. He taught Master’s courses at the Domus Academy, Università del Progetto in Reggio Emilia, as well as lecturing in Industrial Design at the Faculty of Architecture in Genoa. 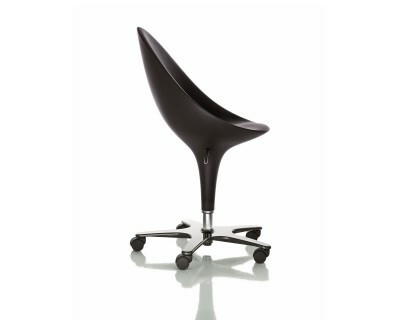 He works as an industrial and interior designer and architect, specializing in plastic products. His designs have achieved great commercial success. His design objects have been awarded.